Disclosure: I received a place on the giveaway form, for posting. No compensation received. I am obsessed with candles. Seriously. All candles. I have so so many.. Including Yankee Candles. I think Yankee is one of the biggest candle brands out there, and every Christmas, I tend to gift them, because I don't think I even know anyone who won't use a candle. There is nothing like walking in a room and getting an amazing aroma running to your nose. It's one of my favorite feelings.. And if I'm being honest.. Sometimes I just walk out of a room and walk back in, just to get a whiff, lol. Anyway - Have fun entering, and good luck! Disclosure: Rats and More received no compensation for this post. Rats and More and participating bloggers are not responsible for prize fulfillment. Gratitude Never Out of Style sound interesting! I think I would like the coconut kisses as well, I really love coconut, but the watermelon splash sounds really nice too. Thank you. coconut kisses! I bet that smells really heavenly! I would choose the Watermelon Splash. I love the smell of watermelon. I like the "Gratitude Never Out of Style" candle. That is so true, being thankful and in gratitude never goes out of style. Give Thanks for Heroes that Never Stop Giving (Fair Winds). I'd like to try the Love My Hero scent. I would love to try the coconut kisses!! 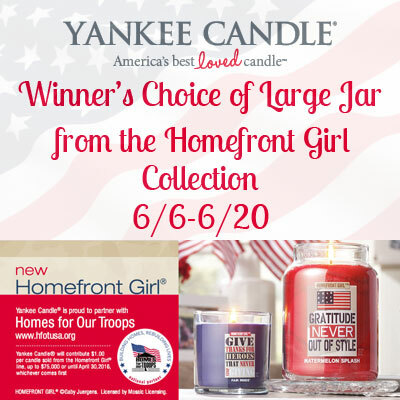 I'd choose the Not for Glory Always for Country (Break of Day) candle. Thanks. I'd love the Give Thanks for Heroes that Never Stop Giving (Fair Winds). I would like to get Love My Hero scent. Watermelon Splash is what I would choose.